"The story goes that one day God announced he wished to play a musical instrument and so he choose the tenor saxophone because to him, it sounded closest to the sound of an angelic voice. 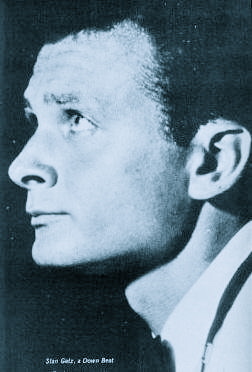 An angel nearby hearing God suggested he listen to a Stan Getz recording which God did. After listening to a tune or two God declared that he had decided to shoose another instrument. When the angel asked God why he had changed his mind God paused, smiled broadly, and answered..."Because I have heard the voice of perfection"." 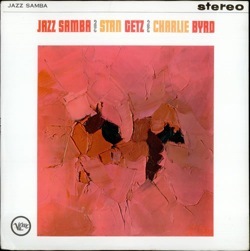 VISIT STAN GETZ STORE ON AMAZON AND BUY THE ALBUM. 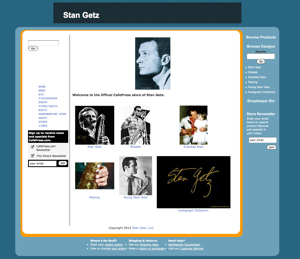 VISIT THE UNIQUE & PERSONAL STAN GETZ STORE and buy personal Stan Getz photos, t-shirts etc.